The Pocono Mountains of Pennsylvania have long been a year round vacation destination. Ski resorts, indoor and outdoor waterparks, ziplines, and candle shops are just a sampling of attractions to keep tourists busy. There is one hidden gem, though, that many tourists never get to see. Our abundant wildlife. Come on. Let's take a walk through the woods. At the top of the list is our white tail deer. It's mid-summer, and whitetail bucks are in full velvet. Velvet is a soft fuzzy coating that forms over developing antlers. In the next two months the bucks will shed this covering as their antlers harden into strong bone. The does are with their fawns. As the fawns grow older, they spend less time with mom. Fawns are very curious and learn very fast. It won't be long til their spots begin to fade. Black bears are on the move! This big fella is out looking for food. Bears have to pack on the pounds so they will have enough body fat to get them through winter hibernation. Hummingbirds have been here since mid-May. They will usually stay til about early October. 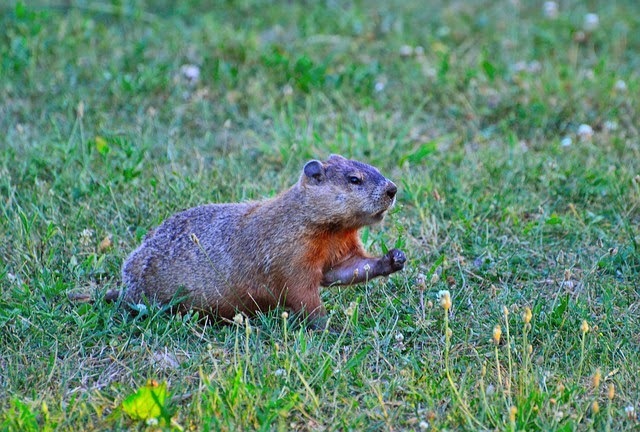 Groundhogs, sometimes called woodchucks, live here all year long. They hibernate all winter and spend the spring and summer foraging for food and raising their young. 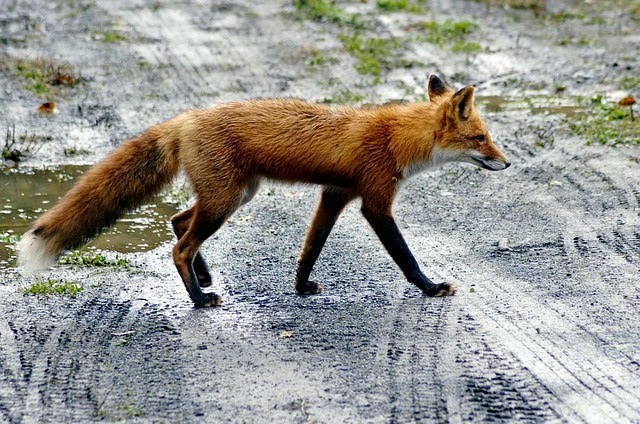 Both red and gray foxes are also year round residents. 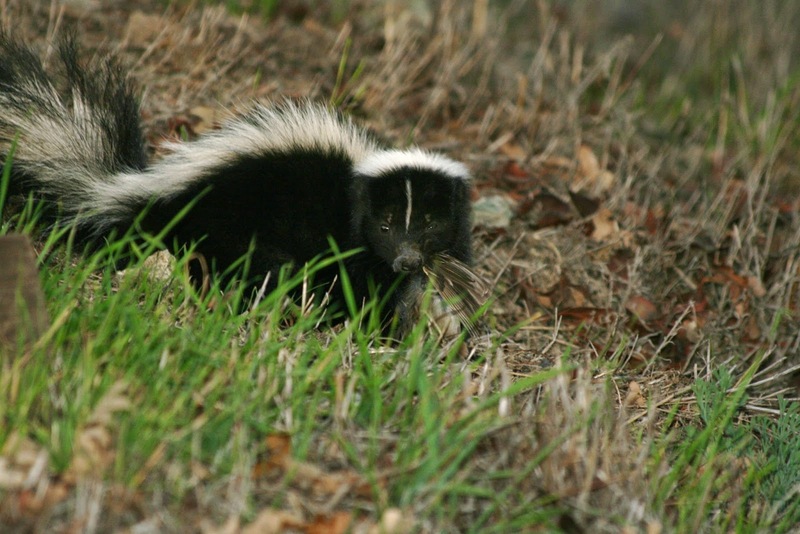 Skunks may look cute, but if you run across one, keep your distance. These are just some of the beautiful creatures that can be found in my backyard. And I do mean in my backyard!